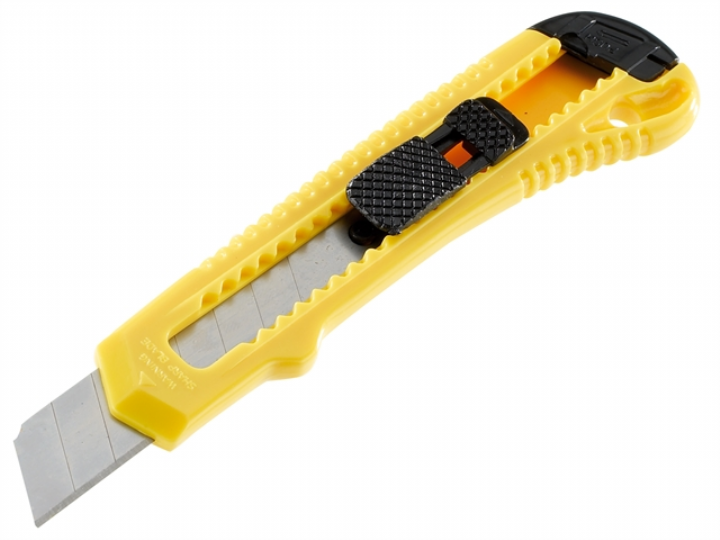 A safety knife is a spring-loaded, self-retracting utility knife that workers use to more safely open boxes and cartons. Strong warehouse knife cutter, made with snap off blades as pictured for longer lasting use. These knives are made with hardened/reinforced plastic, hence do not break easily.